Eating a good, healthy breakfast is bound to increase your child’s appetite. A balanced breakfast boosts metabolism after the night ‘fast’ and gets the body working for the day. Ensure that breakfast is a compulsory meal in your household. It’s a tried and tested formula, give it a shot! Snacks should be as good as meals if you want a better appetite. Instead of a cookie, offer a sandwich; instead of chips, offer muesli or cereal. Think of healthy replacements for snacks and notice the change in your child’s appetite. 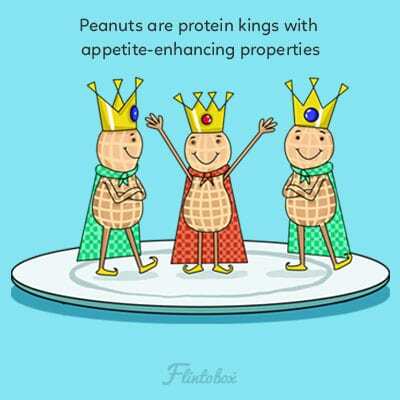 Peanut is sometimes called the king of nuts for its appetite-boosting and protein-building properties. Incorporate it into your child’s food in the form of peanut butter or just fry it to be eaten as crisps. The next time your child fusses for chips, offer him/her fried peanuts. You’ll be doing his appetite a favour. Many children, who have low appetites, suffer from what can be called the ‘too much milk’ problem. When children have milk as fillers, appetisers, or snacks, it kills their appetite for the next meal. Introduce dairy in other forms like cottage cheese, yoghurt, or cream. For some children with low appetite, the very sight of food might be a problem. 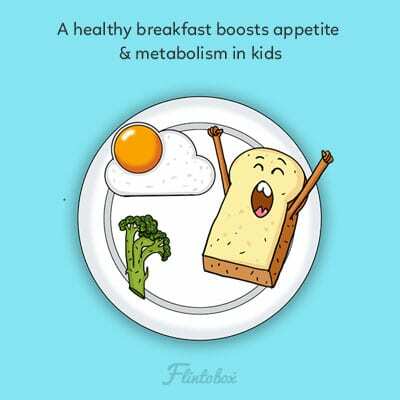 If such is your child’s case, try offering his/her favourite foods initially to get the metabolism running. Healthy food can follow once your little one starts accepting the very idea of eating. Small bites of food build metabolism, which in-turn, improves appetite. Offer smaller bites of food to your children if you think they have reduced appetite. Slowly, their want for food will increase. You should continue offering small bites till they start eating on their own and decide on their bite-size themselves. One cannot stress enough about how important yoghurt is for a child. It’s a dairy product with healthy probiotics and calcium which are amazing for the appetite and immunity of the child. 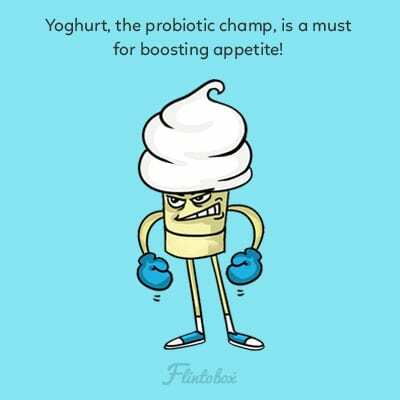 Yoghurt serves the purpose of a dessert as well. Most children don’t enjoy extreme odours or overpowering tastes. 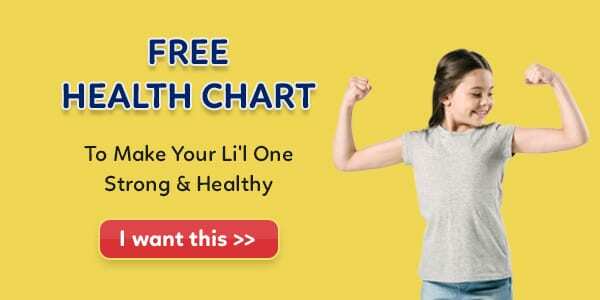 If low appetite is an issue with your child, check if your kitchen has food odours and/or if your food has a strong taste of Indian masalas, garlic, and so on. Eliminate these flavours. Chances are that your child will start eating properly. Traditional Indian homes have the tendency of offering ‘ghee-based’ food to children. 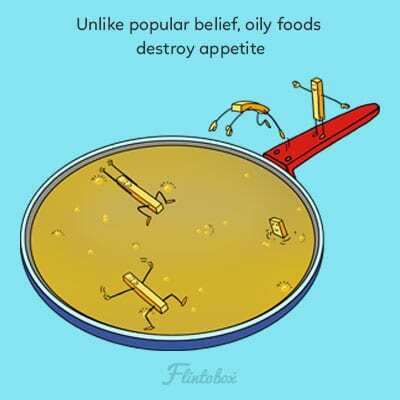 Unlike popular belief, such foods kill their appetite. Go easy on fatty products and dairy since these might be the reason why your child has a low appetite. It’s a common knowledge that playing sports or exercising improves appetite. Don’t you think we forget this common idea when it comes to our children? If your child has a declining appetite, increase play time. You will see the hunger coming back! 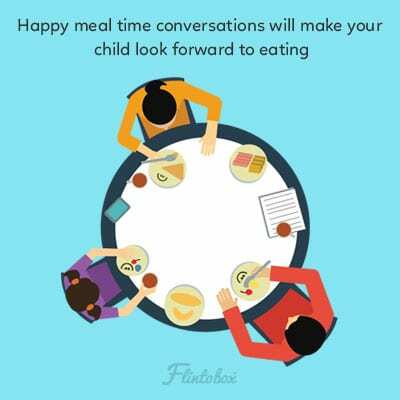 Having said that, avoid stressful or serious discussions during meal times. It kills a child’s appetite. Try talking about happy things and see him/her wipe the plates clean. Zinc helps in building appetite. Wheat bran, cashew nuts, and pumpkin seeds are good for improving the level of zinc in the body. Try incorporating these into your child’s meals or snacks. Check with your child’s doctor for zinc supplements as well. Where you note things they ate on good-food days. Ideas that worked on those days can be used for future reference. Doesn’t hurt if a retrial works its wonder again, does it? 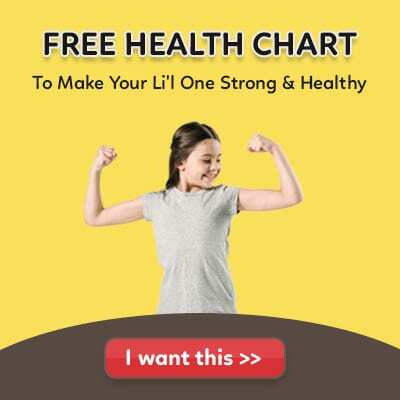 Got more ideas/tips that helped your child improve his/her appetite? 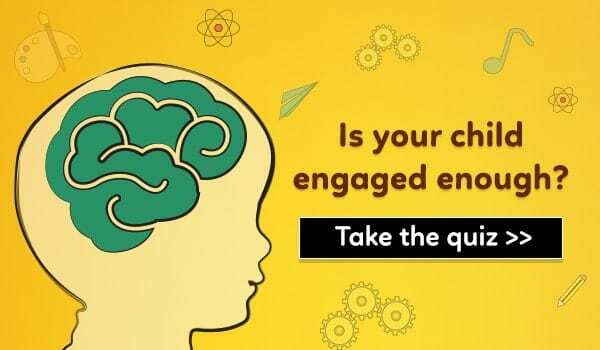 Share the suggestion that worked for your child in the ‘Comment’ section below. Thank you , Amruthaji for your healthful (useful)tips to boost appetite in children. Thank you very much, Avinash! Thanks much, It’s a great help of these super tips. Hi Amrita. Great in – depth tips. I supplement zinc for my son. I will add yoghurt as dessert for every his meal. Hope he will more eat and more delicious. Thanks a lot.. My 4 yr daughter takes a lot of tym to eat especially chapati.. I ll try ur tips…. Excellent article Amrita! Many thanks for such valuable info. Thanks Amrita for your post on this topics. I was looking for something like that. Keep blogging. Thanks for your invaluable suggestions. My daughter (6 years) eats very less and uninterested expect for Potatoes and milk. She don’t eat lunch at school. At home we have to push her for an hour. I definitely try what you have mentioned in the article. What else can I do to improve her appetite and digestion more. Ugh same with my son. Im becoming worried. Bur I’m definitely taking this pointer at hand. Hioe they work for us. Thnks for this article it has helped me a lot. Hi….my baby is one year old..she does not eating any kind of food. I tried so many thing .bt she wants only milk…her wait is 8 kg. I am worry abiut her . On the outside it looks like there’s nothing to be worried about. But still if you feel concerned, please consult a paediatrician. Hi Manisha, same here with my daughter. She is 14months old, her wight is 8.400 and she hardly eats anything, she is also anemic and refuses even the syrup. every time I feed her i prepare 3-4 plates hoping if she doesn’t eat this one maybe she’ll try the other one. I’m still breastfeeding and she also drinks water. Thank you so very much,very good tips. Glad you found it useful. The share link is on top of page. Thank you. I would like to thank you for such a useful information as I have a three year old son for whom I am always worried to have proper meal. Now this blog help me to out what things I should give him to increase his appetite. I want to you whether I can improve my English command through online courses as I can’t step out for that. I am very eager to know your reply. Thanks for your comments. Glad we could help. Thank you very much. We sure hope the tips be of help to many.